"The directorial debut of Victoria Negri reveals a confident eye behind what could have been a dull twenty-something diatribe." "The thing that really motivated me to make this decisions was my father’s stroke. That was something I really feared my whole life, losing my dad. And I thought, always wanted to direct, if I can face that fear, I should face this fear I have of directing. I saw how precious time is and don’t want to be 80 years old thinking, why didn’t I try." "Gold Star is a very personal labour of love for first-time filmmaker Victoria Negri. 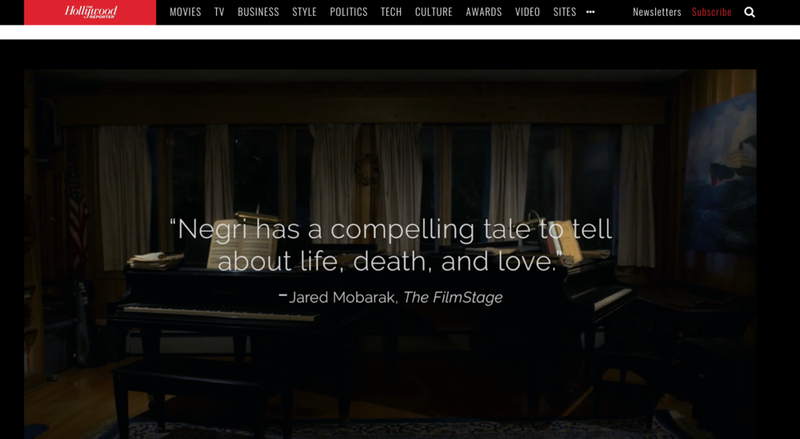 For her debut feature, Negri wrote, produced, acted and directed a spin on her own autobiographical tale of caring for her ailing father. 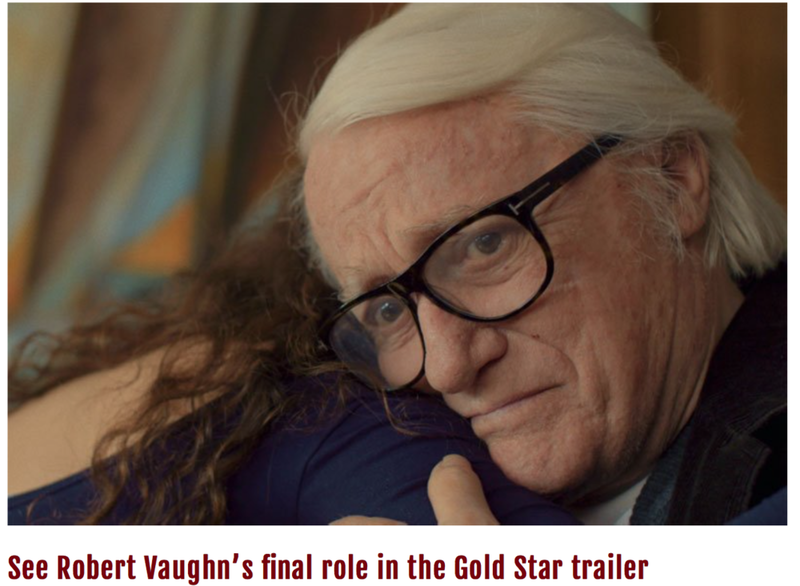 The physical and emotional toll it takes to tend to an incapacitated loved one is brilliantly captured in the film..."
"...this film really rises and falls on the brave, terrific work of the late actor Robert Vaughn (The Man from UNCLE) in his final role. Vaughn’s part of the father is nearly wordless, and yet it is stunningly touching." "Director Victoria Negri writes and stars in her first feature-length film, Gold Star, which captures the raw emotion and scathing honesty of the not-so-pretty hidden sides of ourselves." 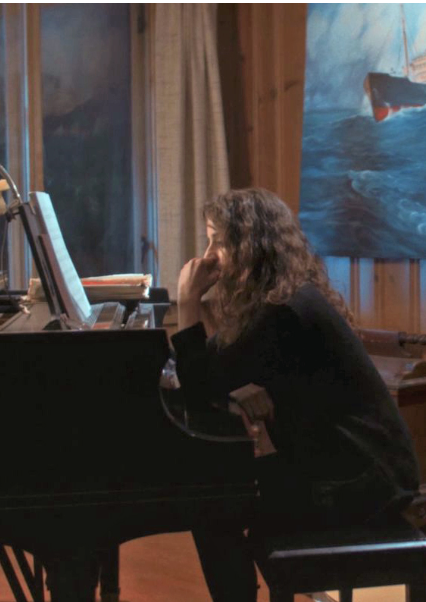 "Painterly and lyrical, GOLD STAR is a rare glimpse into the heart of an artist, and her inspiring catharsis in the face of heartbreaking loss." "Victoria Negri's GOLD STAR is one of those films that makes you sit up and wonder why the hell more people aren't talking about it... The film is, in its way a singular achievement of a filmmaker who has taken her vision and put it on the screen. This film is a quiet calling card of a filmmaker who should be a force to be reckoned with with the films that follow." "I credit my collaborators for challenging my vision, questioning my choices, and making the suggestions necessary to transform the movie from one chronicling a fictionalized version of my own specific life experience into something more universally relatable." "Take the plunge.My first feature film Gold Star comes out this week, and while I have always made an effort to project confidence and an aura of "knowing my stuff," the journey of getting to the moment of writing this piece has been long and difficult at times." "On Nov. 10, 2012, Victoria Negri’s father passed away. Six years later, on that same day, her movie “Gold Star,” based partially on the experience of dealing with a sick father, opens at Cinema Village." "Victoria Negri on the experience of growing up with a much older father, and how it informed her very personal directorial debut, Gold Star." "Today my guest is the writer, director, and star of GOLD STAR Victoria Negri. I had her on to discuss the film, how her real-life experiences with her father inspired her, what it was like working with Robert Vaughn on his last film, and of course, as always THE SPICE GIRLS." "I make films because I want to engage with people. I want to hear from audiences and other filmmakers. And it’s crucial for me to support other people’s work in whatever way I can. We are all in it together. And we all learn from each other and improve and get better." "Negri is brave in playing an interesting yet fairly unlikeable and unhappy young woman for much of the film." "In a way, Gold Star is all about what we deserve in life, what life gives us, and how we respond to it. Does Vicki deserve to be her father’s caregiver when her adult life is practically just beginning? What does a man of Carmine’s years deserve? Who actually determines what we really deserve?" 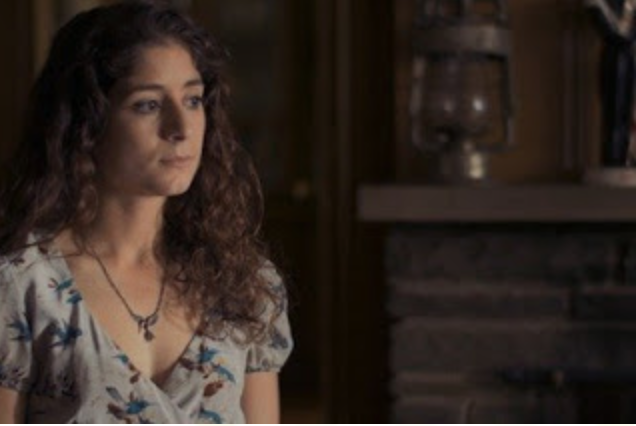 Victoria Negri is a 30-year old filmmaker from New Haven. She wrote, directed, produced, and acted in her first feature-length movie called “Gold Star.” Even though she was a novice, she managed to cast Oscar-nominated actor, Robert Vaughn as the star. "...there are two important reasons to see Gold Star: One; the chance to see Robert Vaughn for his final performance, and, two; for Victoria Negri. As a performer, she possesses a naturally engaging screen presence that draws notice, but it’s as an emerging filmmaker – a writer/director/producer – that deserves our attention most of all." "Vicki is not doing well. She's dropped out of college, her father is very ill, and she's lost all direction in life. But just when Vicki is about to give up, her life takes a dramatic turn..."
"Actor Robert Vaughn passed away today. One of his final acts was appearing in my film, and I'm forever humbled."